Slinglibrary.com has been running in West Yorkshire since 2009. 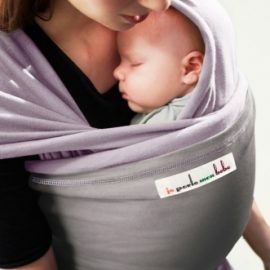 Started by parents for parents we have a vast collection of baby & toddler slings that have been chosen because they hold the baby in the anatomically correct carrying position to keep you and your child comfortable and safe. Slings & carriers are loaned out to parents and carers on a fortnightly or four weekly basis to help you find the right sling. We run sling library sessions five days a week in Mirfield, Birstall, Halifax, Slaithwaite, Huddersfield and Holmfirth where you can come for advice, try on or even get help with the fitting of your own sling. Renting from the sling library is a great way to try out a few different brands or types of sling before deciding whether or not you want to buy. Hiring is also fantastic if you need a sling for a short period, such as a holiday or special event. If you hire a sling from the library and then buy from us, we will deduct the cost of your first hire from the purchase price of the sling. We also offer free UK shipping on all of the products in our online shop if you live further afield. We do not offer a postal hire service at this time. Slinglibrary.com is a not for profit, community interest company, all money raised goes back into the library to help replace and grow our range of rental slings to ensure the library has great availability of the most popular styles and brands. It is run by qualified, insured baby carrying consultants and local sling-using parent volunteers who will help you with any questions you may have.